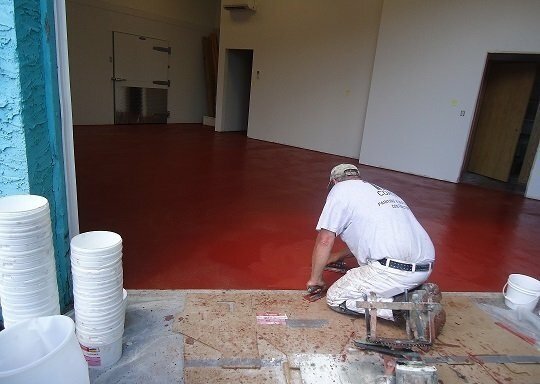 A Midwest seafood retail and wholesale company requested TMI Coatings install protective flooring as part of their renovation. The company installed two new coolers and expanded the warehouse and production area. TMI prepared the surface by steel shotblasting with vacuum attachments. TMI then installed cementitious urethane floor topping at 1/4” thick. The cementitious flooring has excellent chemical resistance and will resist caustics and chemical attacks. The floor topping will not crack or craze. The cementitious urethane floor topping is durable and suitable for industrial use. 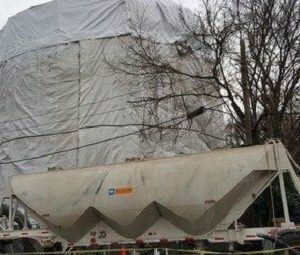 TMI had to complete this project in three mobilizations and in an efficient manner because the company could not shut down for a long period of time. TMI completed work on weekends and during off hours. The customer states they appreciate TMI’s field operations for their quality workmanship and completing the project in a timely manner. TMI Coatings refurbishing a large ground storage tank.